Whether you’re a seasoned MacBook user, or someone peering over the fence at all that slick-looking metal in your local Apple Store, it can be a tricky process trying to figure which of Apple’s laptops is right for you. Despite the elegance of Apple’s website, it does little to simplify the process, which is why we've combed through all the technical jargon, trimmed the fat, and come up with a guide to help you pick the right MacBook for the right budget -- all in an effort to help you avoid wasting cash on features that you don’t need. The MacBook Air has only seen small, incremental updates since June 2013, and Apple isn’t expected to make any further developments to the Air line. This leaves the MacBook Air in a weird state of limbo. Given the upgrades in the rest of the MacBook line, the Air only has one thing going for it; at $999, it’s the cheapest MacBook available from Apple. Its age as a platform certainly shows, with a woefully low-resolution screen when compared with the more modern MacBook, and a measly 128GB of storage space in the base model. It also lacks many of the newer gizmos that Apple has pioneered for the more recent models. As such, it is really only best suited for those whose budget is strictly $1000, and not a penny more. If you can stretch to an extra couple hundred dollars, you'd be better off opting for the new 2016 MacBook or a previous generation 12inch MacBook Pro. Both are priced at $1299 and will offer you significant upgrades. If you do decide to go for the MacBook Air, but need more storage, opt for an external USB hard drive. You'll get far more storage for much less money than upgrading within the line. The 2016 base MacBook is the new king of portability in the Apple stable, offering an even thinner and lighter profile than the aging MackBook Air. Starting at $1,299, it’s not the cheapest model, but with a super sharp retina screen and weighing just 2.03 pounds, it’s the best choice for those who want a slick laptop that places ultra-portability at the forefront. Its processors don’t pack enough of a punch for anyone with high-performance needs, but for web browsing, word processing, movies, simple video editing and even basic gaming, the new MacBook is undoubtedly a premium choice. But it isn’t without its drawbacks. Chiefly, the unit only packs a single data port -- a lonely USB-C socket. While this port is versatile and serves multiple functions, you can’t plug in any standard USB devices without an adaptor (USB-C is a new, smaller version of the USB standard), you can’t use any regular video cables, and when you’re charging your laptop, you can’t plug in anything else at all. And even with expanding adaptors, we can’t recommend the new MacBook for those requiring the use of multiple screens or specialist gadgets. The pricier $1599 version of the MacBook offers only one meaningful upgrade; double the storage up to 512GB. As for the CPU upgrade included in the more expensive model, we’d argue that you’d struggle to feel a real difference. In terms of potential upgrades, the only one we would suggest is upgrading to the top CPU to best future proof your system, since the base CPU’s max ‘Turbo Boost’ output of 2.2GHz is rather low. One last thing to keep in mind is that this model received updates in April of both 2015 and 2016, and may hint at upcoming refresh intervals. Apple still sells the 13-inch version of the old 2015 MacBook Pro, which is significant because, at $1299, this represents the absolute best bang-for-your-buck option for a new MacBook. At that reduced price, it falls in line with the new 2016 MacBook, and is only $300 more than the entry-level MacBook Air. Yet it has much better processors than either of those models and, critically, it retains a ton of conventional ports, so it’ll play nice with all your gadgets without needing overpriced adaptors. It also has a Retina screen that’s every bit as sharp as the newer models. So what’s the catch? 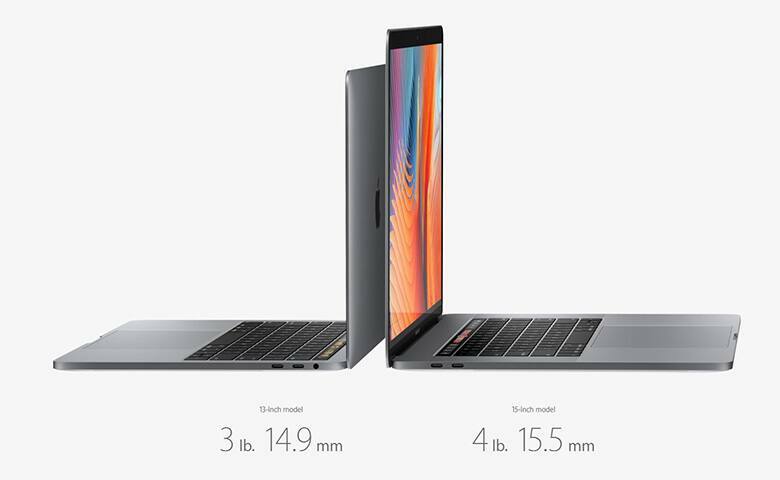 The new 2016 MacBook Pros are housed in a thinner and lighter chassis, and while the weight difference is only half a pound, the 2015 model is the bulkiest of the small MacBooks. The processor is also not as powerful as the newer models, although for most people, the differences are negligible. Of course, you also won’t get all the latest bells and whistles, such as the fancy Touch Bar and Touch ID tech. But we’d argue that none of those features are particularly groundbreaking. Indeed, added weight and heft aside, the only real downfall of the 2015 MacBook Pro is the measly 128GBs of storage included in the $1299 package. This is upgradeable, but we’d advise just settling for an external USB hard drive. You might also consider upgrading the CPU if you’re planning on pushing the innards to their limits with 4K video editing or 3D rendering. The 13-inch MacBook Pro is ideal for those who require more processing grunt than the cheaper models -- for things like video encoding, 3D modeling and other intense tasks -- but still want the portability of a machine that can fit snuggly into a small bag. If you only need a laptop for casual web browsing, emails, media, etc., the Pro models are probably overkill. The basic $1499 model loses the new Touch Bar feature and packs slightly inferior processors, but is $300 cheaper than its Touch Bar-enabled equivalent. And while the Touch Bar is a cool piece of tech, support for it in these early days is thin, and thus its uses limited. If you do want the Touch Bar, however, you have two options: $1799 for the base version, or $1999 for the same machine with 512GBs of storage, up from 256GB. But, again we stress, $200 more for an extra 256GBs of memory is super expensive. A 1TB external USB hard drive from Seagate, Western Digital or Toshiba goes for $55 or less on Amazon. Just bear in mind you’ll also need a cheap adapter -- under $10 -- to connect a standard USB hard drive to the tiny USB-C ports in this MacBook. When it comes to upgrades, budget conscious shoppers should avoid any of the $300+ CPU upgrades, which deliver only marginal performance gains. The 16GB RAM upgrade, for $200 more, may be tempting though, especially if you like to have multiple background apps running all at once. But for your average user, 8GB is more than enough. At this point, it’s probably fair to say that budget is not your major concern. You want power; you want technical flair; you want screen real estate -- you want it all. These are Apple’s premium laptops, and they come with premium price tags. While it’s always nice to have the hottest product, you should only buy one of these expensive laptops if you plan on making use of its fast processors for things like 4K video editing with intense multi-layered effects, video encoding, complex CAD work or 3D gaming. This is the only MacBook that comes with dedicated 3D graphics processors from Radeon, built to handle these tasks. But if you’re getting this machine to watch YouTube videos and moan about politics on Facebook, you’re spending upwards of $1000 more than you need to. If your mind is made up, however, which one should you buy? Again, Apple employs a similar tactic of offering a marginally better machine for a considerable chunk of extra money. Any added processing performance in the pricier $2,799 model is marginal at best, and your only tangible upgrade is the doubling of its internal storage to 512GB. These MacBooks are stunning machines for sure, but at this point, we think it’s worth noting that $2,400 would get you a monster of a Windows laptop (and an even faster desktop PC). It probably won’t be as thin or as slick as the MacBook Pro, but if you’re not absolutely certain of your need to own a Mac, you might consider the high-end PC market for a machine that, at this price, would have processors -- particularly graphics hardware -- far superior to that of this MacBook. If you are willing to spend this much on your laptop, then future proofing could be a major concern. That said, you might want to consider performance upgrades, particularly in regards to the graphics card. The base Radeon Pro 450 has only 2GB of memory, which is low by today’s standards. We absolutely recommend upgrading to the Radeon 460 with 4GB of memory to avert video lag issues during graphically intense processes. 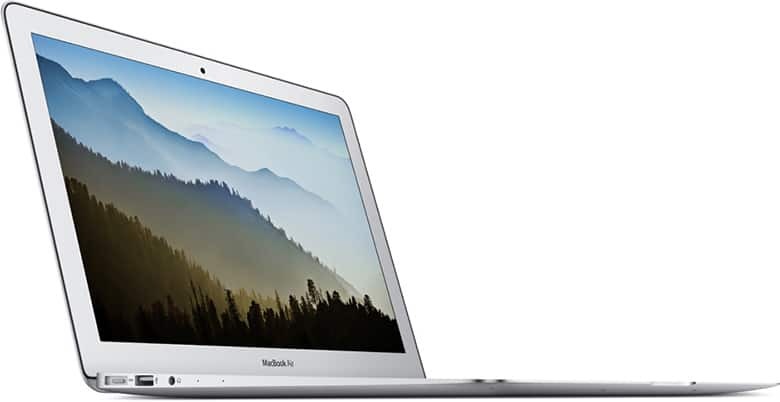 See all MacBook Slickdeals here!